Guest post by Marjorie Clayman, resident blogger at www.margieclayman.com. She works at Clayman Advertising, Inc., her family-owned full-service marketing firm. Somewhere along the way, the social media world was given carte blanche to poke fun at agencies. It seems like every week there is a new post or article about how “agencies” don’t get it or how “agencies” don’t listen. I believe in balance in the universe, so on occasion, as an agency woman, I feel it necessary to send out some positive vibes for the agency world. In the Lord of the Rings, Gandalf is always aware of the big picture. 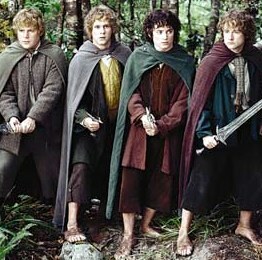 He always has a sense of where Frodo and Sam are. He seems to have his pulse on what Sauron is going to do next (although somehow he doesn’t foresee the evil turn of Saruman, but hey, nobody’s perfect). Similarly, an agency can help a company see the big picture. While you concentrate on your customers, services, and products, the agency can keep an eye on how the market is reacting to your products and what might be coming down the pike. 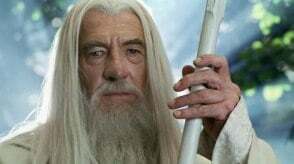 On several occasions, Gandalf uses the analogy of a chess game to explain to his friends what is going on in the world. For example, he tells Pippen, just before the battle for Gondor, that the board is set. He takes all of the information at his disposal and then explains it so that everyone can understand what he is talking about. A good agency can analyze several factors, combine them into a cohesive report, and help you understand what factors are most important to you and your company. When Aragorn is begging King Theoden to fight, Theoden looks around and says, “I am not so lucky in my friends as you are.” Gandalf helped set up the social network that enabled elves, dwarves, men, and hobbits to work together to fight the evil shadow. He was the hub from which all of these beings emanated. An agency can serve a similar purpose. From SEO experts to printers, from photographers to web designers, agencies can network on your behalf so that your company can accomplish everything you must. Gandalf begins his adventure as Gandalf the Grey. After he encounters a fight to the death with an ancient demon, he returns to complete his work, but he returns in a new and more powerful form – Gandalf the White. Agencies, it seems, are always engaged in one fight to the death or another. Sometimes print is dead. Sometimes the Web is dead. Sometimes marketing itself is dead. Or integrated agencies. But the reality is that agencies continue to deal with rises and falls in technology and continue to morph accordingly. As they become more knowledgeable, they share that knowledge with your company so that you can continue to succeed. One of the things Gandalf is best known for is his ability to create magical fireworks displays. They enchant everyone who sees them, and it’s certainly more art than science. Much of what the agency does is more art than science, too. Whether it’s negotiating for a better rate with a publication or compromising on artistic direction with a customer, agencies must always maintain a balance that differs with every client and every vendor. This is a facet of the agency business that must be learned through experience, and is often difficult to quantify. Gandalf seems to be able to converse with anyone. He knows elvish, he knows the language of Mordor, he knows how to talk to hobbits, and he knows how to talk to men. All of these groups come from different backgrounds and different experiences, and Gandalf adjusts how he speaks so that each group can understand him clearly. Agencies must also be able to speak to different groups. When an agency works on your marketing material, for example, they don’t only need to speak your language, but they also need to speak to your customers. Talking in a print ad is entirely different from speaking in the online world. Talking to a conventional printer requires a different language from talking to a web designer. An agency must be understood by all of these diverse groups in order to be effective. Ultimately, Gandalf’s focus never sways from his mission of defeating Sauron and saving the world. Fortunately, most agencies don’t have that kind of burden. However, a good agency will never leave doubt in your mind that your concerns are their concerns. Your priorities are their priorities. Your success is their success. An agency’s fate cannot be separated from the fate of their clients. It is all tied together. There are some agencies out there who do not do all of these things, just like not all wizards were as benevolent as Gandalf. However, many agencies have these seven characteristics in mind from day-to-day. It’s something to consider before you pen that next post about why agencies just don’t get it. What agency wizards do you know? Marjorie Clayman is the resident blogger at www.margieclayman.com. She works at Clayman Advertising, Inc., her family-owned full-service marketing firm.